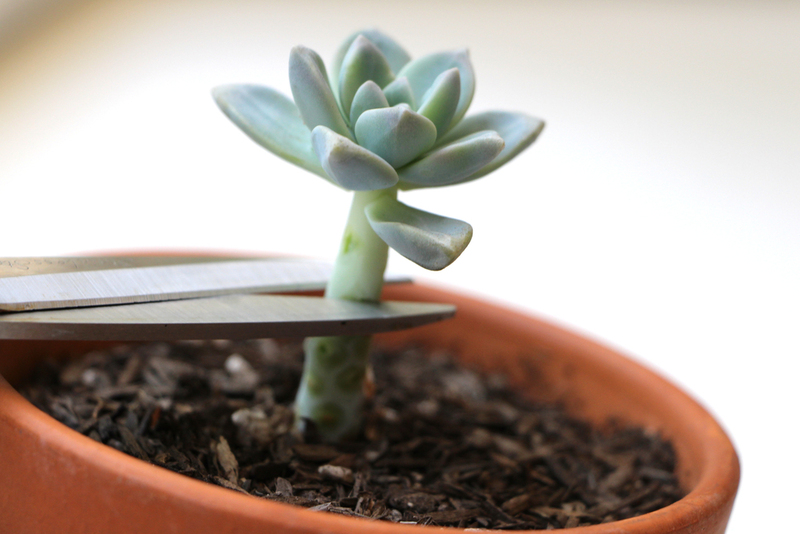 How to propagate succulents from cuttings and leaves. 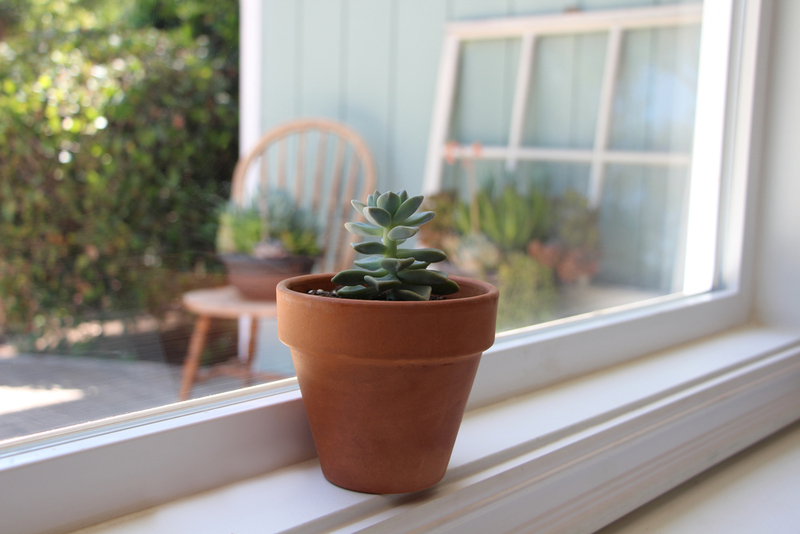 If you’re anything like me, you probably love to have succulents in the house. I try to keep them in bright windows that get plenty of light, but sometimes they can still get leggy. 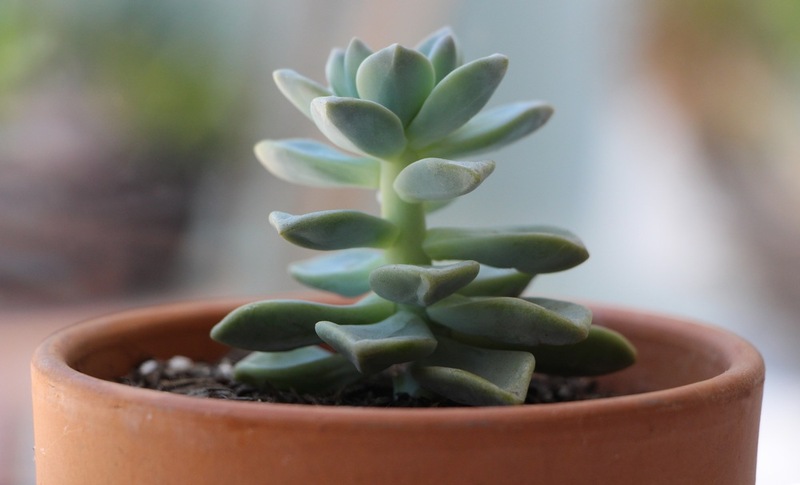 This happens when a plant isn’t getting enough light and it starts to stretch out causing the stem to grow long and the leaves to become widely spaced. Notice the long stem and widely space leaves. If you have a plant that is starting to become leggy like this one, have no fear! 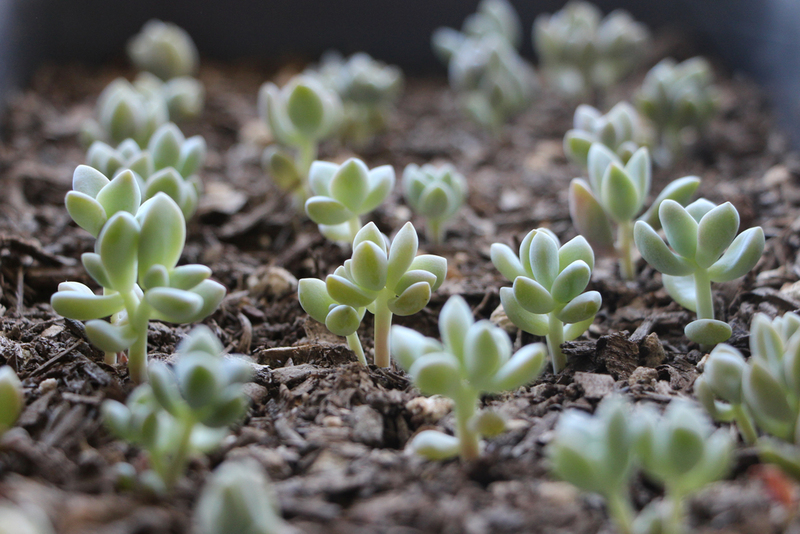 This is the perfect time to propagate! Although this plant still looks gorgeous from the top, the lower leaves will begin to wither and fall off and soon we’ll be left with a rosette high above the soil on a long bare stem. So before the leaves start to die, let’s pull them off and propagate them to make more plants. 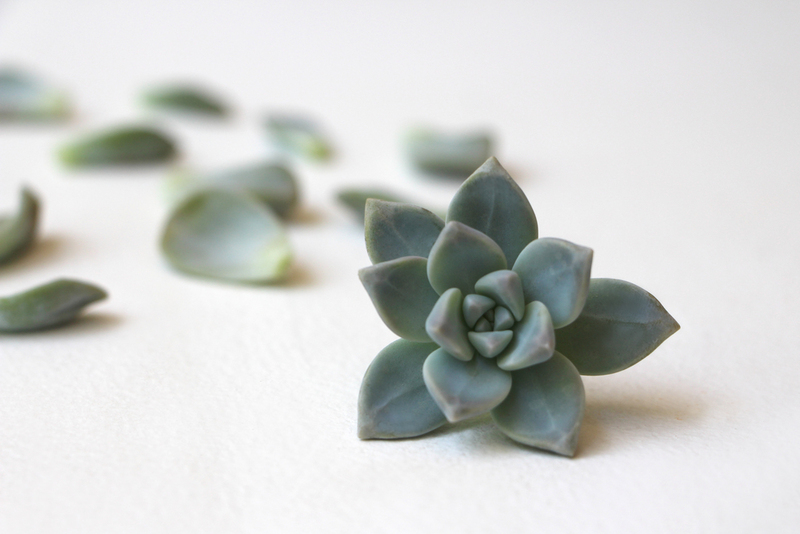 Succulent propagation is easy, fun, and free! We’ll start by removing the lower leaves first. Be really careful when you remove the leaves from the stem. I hold the leaf firmly and wiggle it from side to side until I feel a little snap. You want to be sure you get the entire leaf. If you rip the leaf, leaving the base still attached to the stem, it will not be able to grow roots or a new plant. This is what the leaves will look like if they are properly pulled from the stem remaining fully intact. I use a pair of craft scissors, but a sharp knife would work great as well. We now have a bunch of leaves, a stump and a cute little plant with a short stem. Now we wait. Before we can place our leaves on soil to begin growing new plants we must let the ends dry out and callous over. This step is vital! If you don’t let the ends dry out and place them directly on soil they will absorb too much moisture and they will rot and die. In addition to letting the leaves callous over, we must also let the end of the stem on the rosette dry out as well. This could take anywhere from a few days to a week or so. 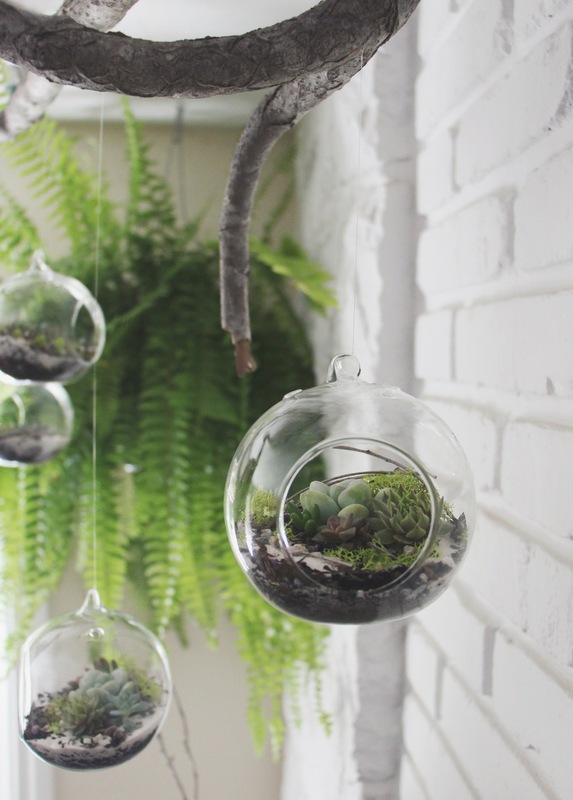 Once you feel like the ends are dry enough, you can place them on top of some well-draining cactus or succulent soil. (Some people dip the ends in a rooting hormone, but I’ve never tried this and have had great success without it.) I’ve had the best results when keeping my leaves indoors in a window with lots of indirect sunlight. After a few weeks you will see little pink roots sprouting from the ends of the leaves and then teeny tiny baby plants will begin to grow. I water the leaves very rarely until I start to see roots or babies appearing. At this point I will give the roots or baby plants a good soak about once a week or whenever I notice the soil is totally dry. 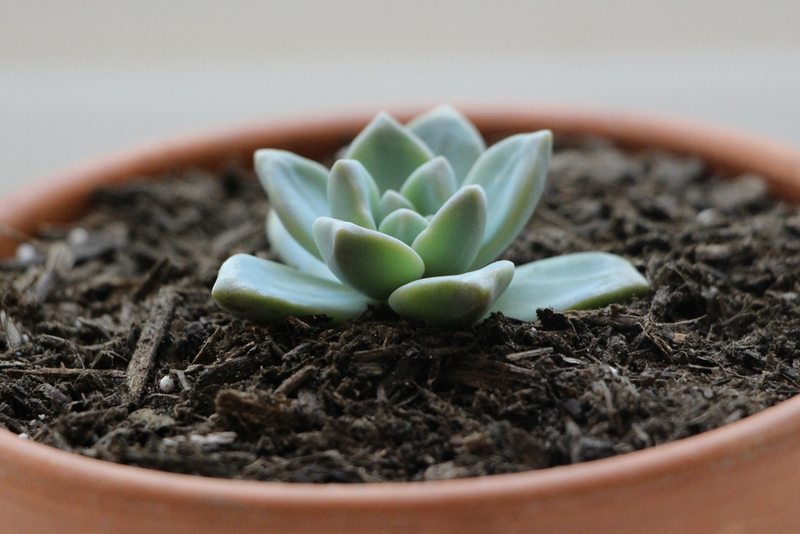 Just like with a fully developed succulent, too much water is not good. If you want to be certain not to over water, I recommend spraying the ends of your leaves with a spray bottle once a day instead of completely soaking the soil. I let my baby plants grow in rows like this until I start to notice the “mother leaf” starting to wither. At that point I will carefully remove the leaf in the same fashion I removed it from the original stem, and then place the baby plant in its own pot. This can be tricky as you don’t want to accidentally remove the roots with the leaf, so you may want to play it safe and let the leaf fall off on its own. Keep in mind, not every leaf will grow a new plant. I’ve found that some leaves just wither away, some will take root while never growing a new plant, and some might even grow a plant, but never root. Although there will typically be a small amount of losses, most leaves will grow roots followed by a new plant. The three leaves below were all started on the same day and all three had different outcomes. 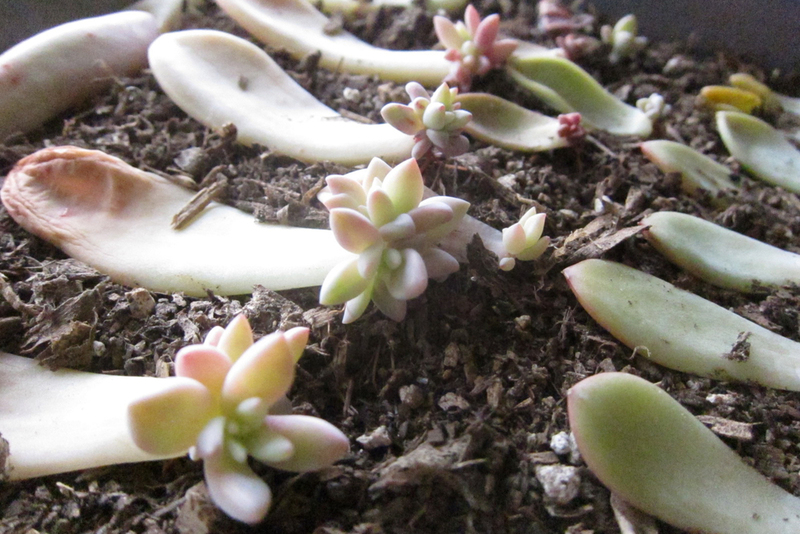 I ran out of individual little pots with this batch so I just removed the leaves as they withered and left the plants to grow together like a little succulent forest. Okay, back to that stump. Don’t worry no part of this plant is going to go to waste! Simply put this pot aside and eventually it will begin to sprout new plants from each place we removed a leaf! Now back to our original plant, the reason we did all this! 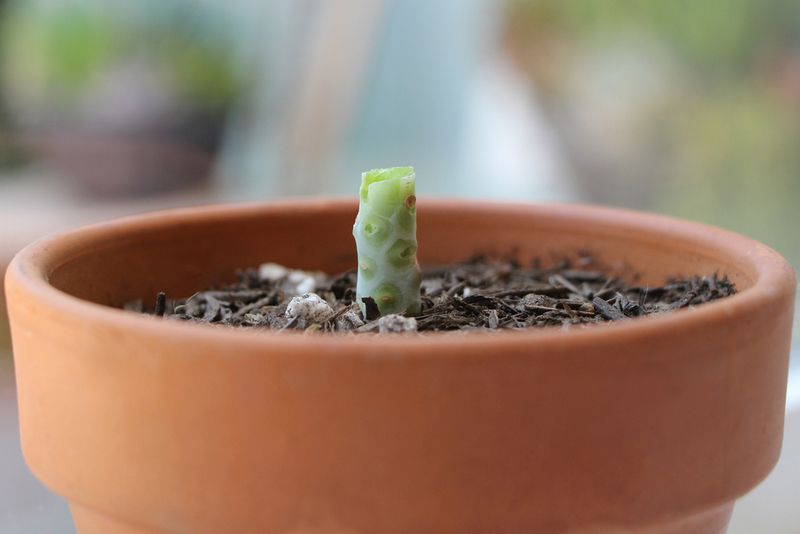 Once the stem has dried out and calloused over, simply place your plant back in a pot with well-draining cactus or succulent soil and it will grow roots again and continue to flourish! 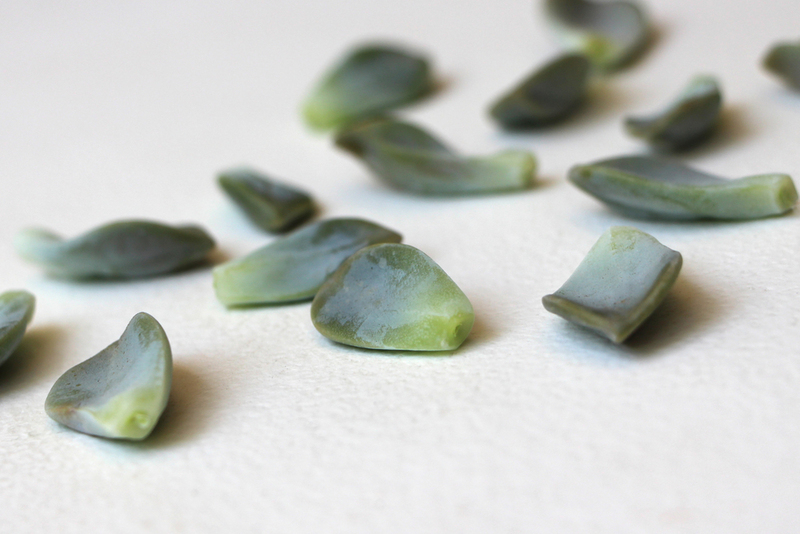 Isn’t succulent propagation amazing? All of my information comes from personal experience. 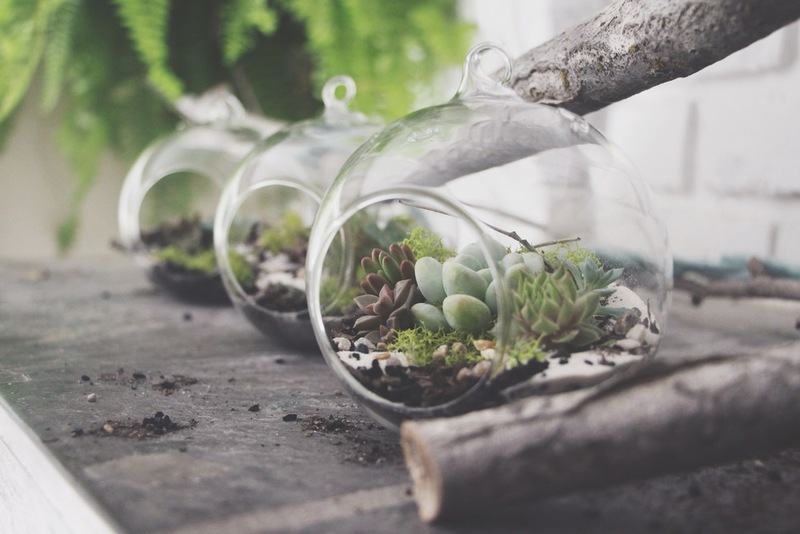 I’m sure all succulents propagate differently and plants in different climates and environments require different care. This is what has worked for me and I hope it works for you! Please let me know if you have any questions. You can find me on Instagram under @tawwni or @needlesandleaves or leave a comment below!